Have you ever looked at engagement rings and found yourself asking, “What is a cushion cut diamond?” Maybe your friend recently married the love of her life, and when she excitedly exclaimed that her ring has a cushion cut diamond, you were perplexed. 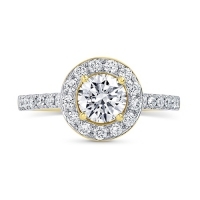 Cushion cut diamonds are not the most popular of diamond cuts, but they are taking the world by storm. If you’ve seen a cushion cut diamond ring in person before, then you might have noticed that the cut follows a very intricate pattern. 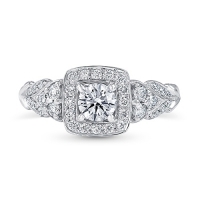 Cushion cut diamonds are specifically designed to look like a pillow or a cloud. They embody elegance, poise, and a unique flair that no other cut can provide. Once these modifications were made, cushion cut diamonds resurfaced as the diamond everyone admired. From anniversary gifts and engagement rings, to wedding bands and glamorous necklaces, cushion cut diamonds make for an impeccable gemstone for every piece of jewelry imaginable. 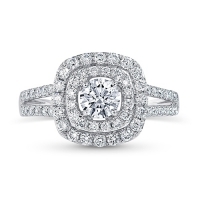 Like all diamond cuts, there are renditions of the classic cushion cut diamond. However, the most traditional dimensions have a rectangle of particular dimensions. The length of a classic cushion cut diamond is approximately 1.10 millimeters, whereas the average width of said diamond is around 1.20 millimeters. 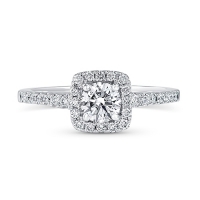 Cushion cut diamonds are not defined as cushion cut based on the length or width of the inner rectangle. There are various discrepancies between all cushion cut diamonds, but slight differences do not make a diamond with a rectangle more of a cushion cut than another diamond with a square. As long as the exact measurements of the cushion cut diamond’s shape cater to what you are looking for, then the length-to-width ratio is more of a personal preference. 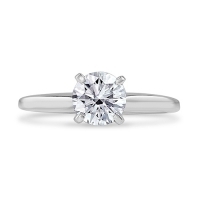 The clarity of cushion cut diamonds is another detail that should be left up to the buyer. Absolute clarity of diamond cuts is not always necessary. Sometimes people appreciate the lack of total perfection, while other times people want nothing shy of flawless. Similarly, One person might view a cushion cut diamond and think it is the most brilliant diamond they have ever seen. 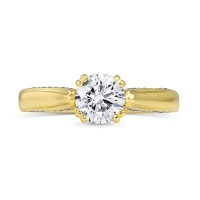 Likewise, you could show the same cushion cut diamond to another customer and they could very possibly think it lacks luster and a clean design. The process of buying diamonds is a very personal one, so a variety of cushion cut diamond designs is essential. Decisions are subjective, rather than objective, and jewelers need to be able to cater to everyone. 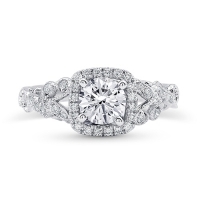 When it comes to designing diamonds with cushion cuts, there are two different processes that can be utilized. Jewelers choose between mined diamonds, which are retracted from mines, and lab-grown diamonds skillfully crafted by human hands. While one process is manmade and the other is completely natural, they both produce diamonds with the same elements and minerals. One route just makes for a smoother process from start to finish. When looking into buying a cushion cut diamond, consider looking at diamonds that are explicitly lab-grown. They are ethical, environmentally-minded, and less expensive. What more could you ask for?